I am a fan of any recipe that allows me to use my end-the-week, random assortment of leftovers to please three kids with different tastes in one meal—and makes it fun enough for them to help make dinner or breakfast. As a bonus, these mini-quiches can be prepared ahead, frozen and reheated to make them a super-easy, breakfast on the go for busy mornings. Setting up a quick, mini-quiche assembly line is a great way to get the kids cooking and encourage them to willingly add veggies to their own, personalized egg creations. Plus—cutting out the crust from the normal quiche is a great way to cut fat and calories without really missing it! 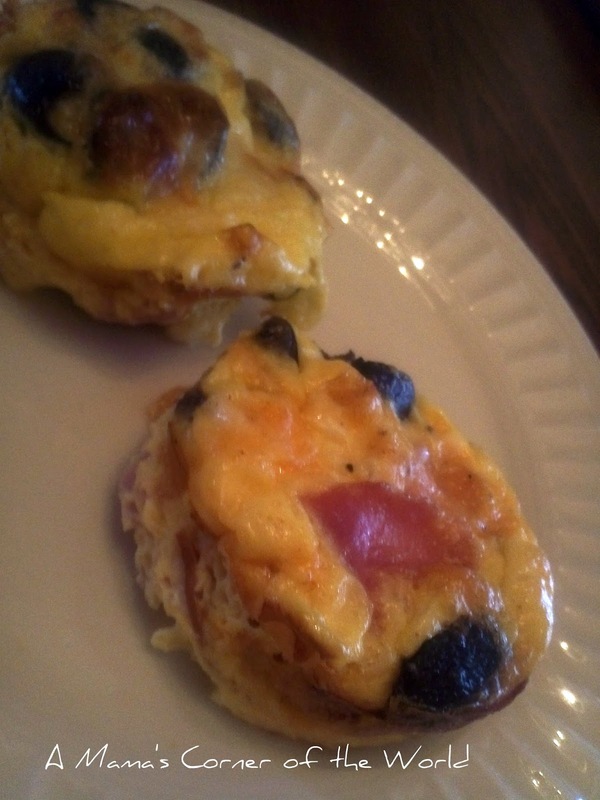 Today, in the Blogging from A to Z Challenge, Q is for Quiche. Leftover Cooked Meat: Crumbled Sausage, Sliced Chicken Sausage, Ham, Bacon, Chicken, Turkey, etc. Sauteed Vegetables: Broccoli, Onions, Potatoes, Sweet Potatoes, Mushrooms, Spinach, Asparagus, Peppers, Tomatoes, Black Olives, Jalapenos, etc. Set Up the Mini Crustless Quiche Ingredients. I set up an assortment of plates and bowls with odds and ends of ingredients. I love this—because one chicken sausage, a broccoli spear, and a few Tablespoons. of Swiss cheese are plenty to add into a few mini quiches! If you have an eclectic assortment of flavored meats and veggies or strong cheeses, the kiddos may need a little guidance in selecting good flavor combinations—so you may choose to only set out meats, veggies and cheese that are interchangeable. Preheat the oven and prepare the quiche tin. I use standard sized, nonstick muffin tins—but, these can be done in mini muffin tins as well. Preheat the oven to 350F and, if your pans are less than perfectly non-stick, spray them liberally with butter flavored cooking spray. Mix the quiche egg mixture. Combine the eggs, milk, pepper, and Mrs. Dash seasoning blend. Whisk together until blended. Build the mini quiches in the prepared pans. Let everyone add a couple of tablespoons of ingredients to personal, muffin spots—a sprinkle of this and a sprinkle of that to fill the tin about ½ full of add-ins. Pour the egg mixture to fill each muffin tin spot about ¾ full. Bake the mini quiches. Bake for about 25 minutes or until the center of each quiche is firm and set. We serve with fruit and buttered toast. Quiche is great, so long as it's not too oily. Those look reaaaally good!